Staff Sgt. Collins Mensing, 22nd Security Forces Squadron combat arms instructor, oversees an M4 Carbine firing class Nov. 20, 2017, at McConnell Air Force Base. McConnell Air Force Base is moving forward with a plan to build a new combat arms training and maintenance facility. The base is accepting public comments through July 16 as part of an environmental assessment for the construction. 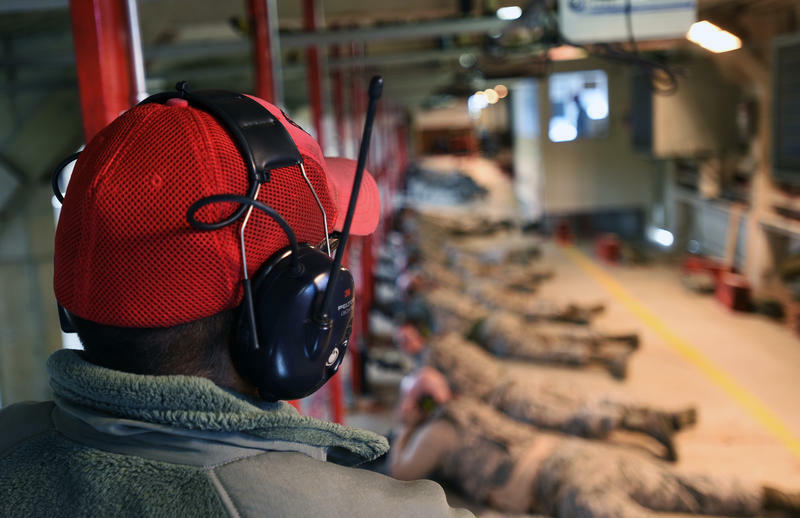 The Air Force is planning to build a fully contained 28-position indoor firing range that can accommodate six different weapons systems. McConnell Spokesman Daniel de La Fe says the new facility will offer more opportunities for training. "All of our airmen across the three wings here at McConnell — and including some naval and army personnel — will be coming in to qualify on weapons system they use in different theaters of war," de La Fe says. The new combat facility will cost about $17.5 million and will replace one that is nearing the end of its lifespan. The Air Force says a fully contained range corrects environmental problems with the current facility and mitigates lost training time due to poor weather. Three buildings at McConnell will be demolished for the project. “The draft environmental assessment came out so we can receive public comment from anyone with concerns about how we are handling the construction aspect of it,” de La Fe says. A final environmental assessment will be completed following the public comment period. The range was included in the fiscal year 2018 military construction program that runs through 2022. McConnell Air Force Base hosts the 22nd Air Refueling Wing (ARW) and is home to the 184 ARW and 931 ARG. The wing's primary mission is to provide Global Reach by conducting air refueling and airlift when and wherever needed. McConnell has about 5,600 enlisted and civilian personnel at the base. The public comment period is open until July 16, 2018. Comments or requests for more information can be submitted to Ms. Kristi Draney, CATM Project Manager, via e-mail (kristi.draney@us.af.mil). Follow Deborah Shaar on Twitter @deborahshaar. To contact KMUW News or to send in a news tip, reach us at news@kmuw.org. 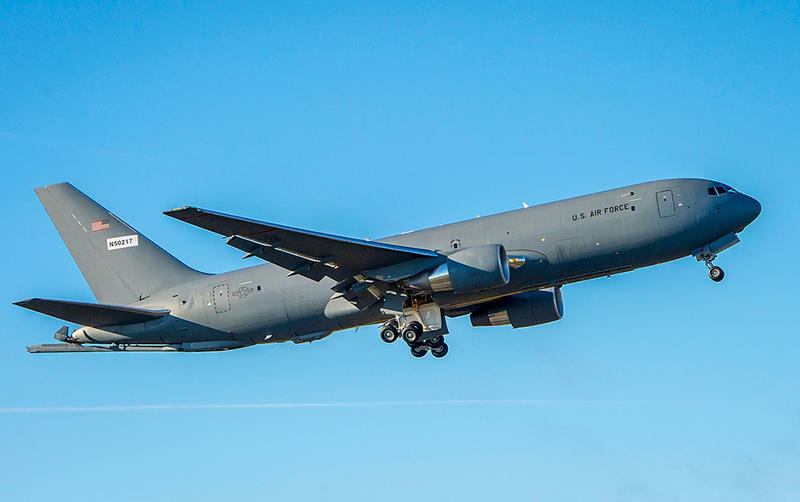 McConnell Air Force Base in southeast Wichita will start receiving its next generation of air refueling tankers in October. 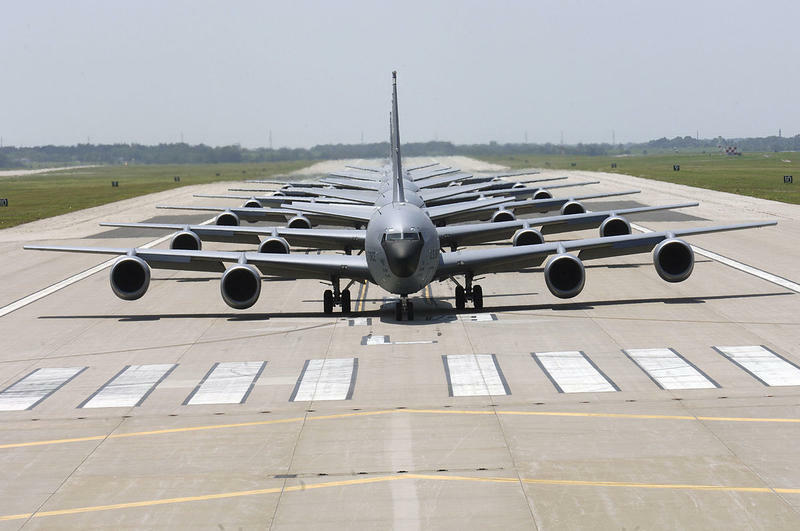 A new $17.5 million training facility at McConnell Air Force Base in Wichita is included in a 2018 budget proposal working its way through Congress. Sen. Jerry Moran of Kansas authored an appropriations bill that supports housing, infrastructure and facilities for U.S. military forces. One of the projects is to build a combat arms training facility at McConnell Air Force Base.